we have noticed today that Steemit is having problems that either make it down (Gateway Timeout) or going extremely slowly, therefore you might notice bugs in the bidding service, too. Please let us know as a reply to this post if you placed your bid and the upvote was missing and we will find a remedy. For more information on how the bot works read this post. 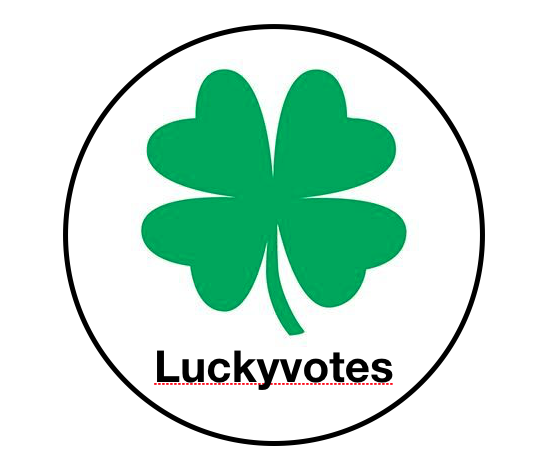 Best regards and happy steeming from the LuckyVotes Team! It seems that you had no misses. Did you ever have any? I believe this bot is the safest and most honestly operated bot here. Possibly and possibly not along with 2 or 3 others. It is also one of the best, but due to the 6 days limitation, there are cases which other bots should be preferred. Since I saw you used other bots to upvote this post, I recommend that in the next time that you buy votes, and since you comprehensibly refrain from using your bot to self upvote you should use sleeplesswhale, your most direct competitor and proffit (not to confuse with profitbot which its owner still has my 0.05SBD for which I got no return for). You could as well disable this bot for 2.4 hours, upvote itself at 100% and then resume. It is fair play. Of the bots you used, lightningbolt, youtake and honestbot are the best. edit: It is truer to write that youtake and honestbot were the best among the bots that you used by the time that you used them, because since then honestbot's reputation became negative (in terms of reputation points as they appear in steemd.com, not in terms of the "reputation" as it shows here and there) and because of it when you use it, it does not increase the reputation of your bot, which is one of the reasons to why you should have done what you did. Youtake got mostly undelegated on your most bid in it will probably result in a negative ROI for you. minnowhelper's owner modified the original yabapmatt code to include a nefarious part which does not refund bids on posts older than 5 days, even if the 5 days are reached during its bidding session. How do I know about it? I read its terms of service, or introductory post. minnowhelper is a misleading name, it should have been called confiscator, minnowrobber, minnowextractor, extractor or something similar. Remove the 6 days limit and replace it either with a 6 days 9 hours limit, or with automatic refund whenever the bot fails to vote due to STEEM's limit. Instead of wasting witnesses and blockchain resources for reward claims every time in which they become claimable, you can change it to claim them once the bot reaches 99.95% voting quota. yabapmatt may have his reasons to why he made it the way he did and I may be wrong about it. All in all I am sorry that I did not find it and started to use it regularly sooner than I did. By offering this service you may just reduce the amount of thefts and scams that most other bidbot owners commit. You got a 8.33% upvote from @luckyvotes courtesy of @stimialiti! You got a 18.25% upvote from @proffit courtesy of @stimialiti! I am happy that you are satisfied with the service! Have a wonderful day! I noticed you only make miniscule profits. Personally, I am very pessimistic about the future and sustainability of STEEM, but I might be wrong. This is why I was reluctant to ask, but I am still asking now after issuing my personal opinion as a warning, which might be a false warning, why do you pay Steem to rent Steem instead of trading your received SBDs for Steem and vesting it and your received Steem? Initially your SP will shrink due to expiration of leases, but over time it guarantees you faster growth and bigger profits. The question is if Steem will last long enough for it, and you only get 1/7th of your SP each week once you start powering down, and when you start powering down, it will probably be too late. This reasoning is in favor of what you are currently doing, but since you profit as little as you do, I doubt if you will lose by changing your policy. I am not in the know about the price of renting SP, but I read it is too high, and when prices get too high, I search for alternatives either in where I buy or in what I buy. You got a 14.76% upvote from @luckyvotes courtesy of @stimialiti! You got a 16.67% upvote from @sleeplesswhale courtesy of @stimialiti! You got a 21.43% upvote from @votepower courtesy of @stimialiti! @youtake pulls you up ! This vote was sent to you by @ksolymosi ! Congratulations! You got 4.55% upvote from @lightningbolt, Thanks to @ksolymosi! Enjoy! You got a 50.00% upvote from @boostbot courtesy of @ksolymosi! 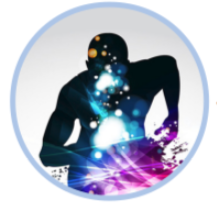 You got a 10.00% upvote as a Recovery Shot from @isotonic, currently working as a funding tool, courtesy of @ksolymosi! You got 9.09% upvote | Courtesy of @ksolymosi! Delegate us Steem Power & get 97% daily rewards share! In the fight of Humans vs Bots, @megabot defended you with 11.11% upvote courtesy of @ksolymosi! This post has received a 0.42% upvote from thanks to: @ksolymosi. Release the Kraken! You got a 1.25% upvote from @seakraken courtesy of @ksolymosi! Hello, you gave me a reply but no upvote! Can you please check? You just received a 6.62% upvote from @honestbot, courtesy of @ksolymosi! You got a 20.00% upvote from @childfund courtesy of @ksolymosi! @childfund is a bid bot to help the steem community sponsor a child. You got a 90.91% upvote from @slimwhale courtesy of @ksolymosi! @slimwhale offers the best return on your investment, at 95% of the bidding pool, proportional to your investment, after each round. Sorry but the bot can only give you an upvote if you participate in a bidding round. should we pause posting until gateway re-solve? Well, try posting but you might face difficulties with sending your post.